While male acts dominated the Abraxas lineup, the club gave a platform for female groups as well. 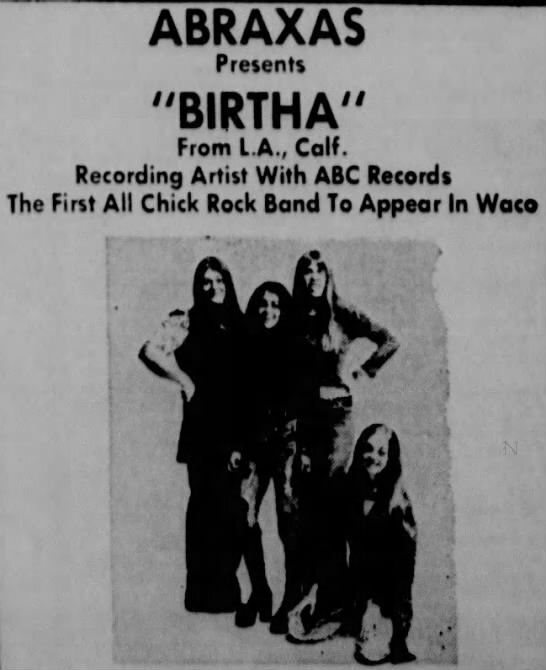 In 1974, the L.A.-based band Birtha headlined at the Abraxas, hailed as the first all-female rock band to ever perform in Waco. Groups like this allowed Central Texas music fans to experience new music from across the country.